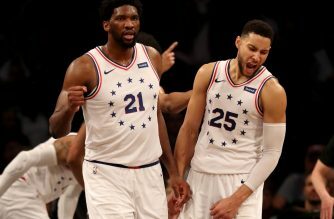 NEW YORK, United States (AFP) — Philadelphia big man Joel Embiid scored 32 points and grabbed 14 rebounds Monday as the 76ers withstood a 37-point performance from James Harden in a 121-93 NBA victory over the Houston Rockets. 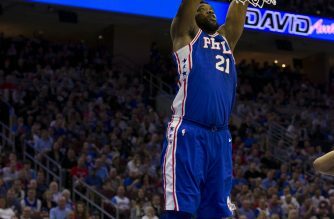 Embiid added two assists, two steals, and three blocked shots, provoking the ire of Harden in the final minute of the first half when he leaned in to guard the reigning NBA Most Valuable Player as he drove toward the basket. 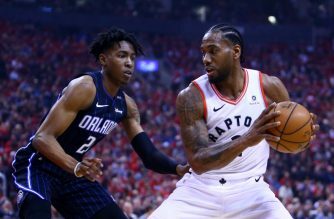 Philadelphia outscored the Rockets 29-13 in the third period pushing their lead to as many as 31 points. 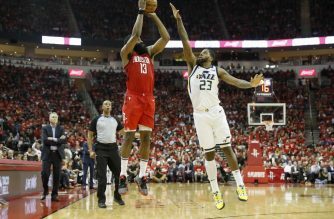 With the game out of reach, Harden sat out a fourth quarter that saw both team’s starters mostly on the bench. The Thunder jumped ahead 34-16 after the first quarter and never looked back after quitting the Madison Square Garden crowd. Slovenian rookie Luka Doncic led Dallas with 18 points, 11 rebounds, and 10 assists — the first triple-double of his NBA career. Elsewhere, Trevor Ariza scored 20 points and Otto Porter added 19 off the bench to lead seven Washington players in double figures in the Wizards’ 101-87 home triumph over Detroit. D’Angelo Russell scored 31 points and handed out eight assists to lead the Brooklyn Nets to a 123-94 victory over the Sacramento Kings. Joe Harris added 19 points and Rodions Kurucs scored 16 for the Nets, who won their fourth straight.